A high quality, surprisingly small super-automatic that doesn’t try to do too much, focusing on the basics and excelling at them. Recommended for: Anyone, but especially people who are just finding their way into the world of specialty coffee. 2 ​How Easy Is It to Use? 3 ​How Easy Is It to Clean? 5 Is This the Same as the Jura ENA 9 Micro? Do you love a great cup of coffee in the mornings? Have you been looking for a machine that will move you away from the standard drip brew, coffee by the pot world into the by-the-cup world of specialty coffee drinks? If you answered yes to either of those questions, then you’re going to be intrigued by our review of the Jura ENA 9 One Touch Espresso Machine. It’s not a perfect machine, but for the right user, it’s an excellent introduction to the world of super-automatics. Just imagine the incredible range of flavors these devices open your taste buds to. 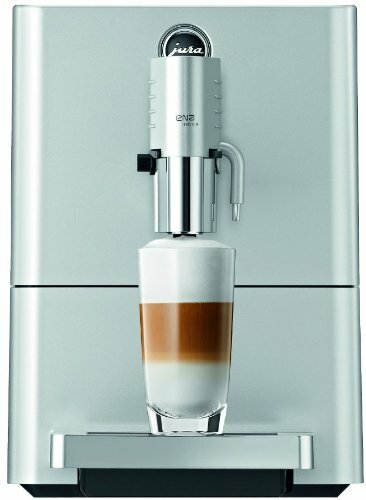 Making your favorite specialty coffee drinks has never been easier! In the sections that follow, we’ll walk you through everything this machine can do and draw your attention to its limitations, so you’ve got full information at your fingertips to make the right purchasing decision for you. Let’s get right to it and see what this machine is all about! The Jura ENA 9 One Touch is a beautiful machine. In fact, it has won awards for its excellent design. Small, sleek and stylish, and it’s brushed silver and black finish will fit right into just about any home kitchen. Even better, it’s one of the smallest super-automatics on the market today, measuring just 9”x17.5”x14”, and weighing a scant twenty pounds. Not only does this make it ideal for people with little counter clearance, but its small footprint is perfect for individuals who live in apartments or who already have lots of appliances taking up their countertop real estate. You can put the One Touch just about anywhere! We want to be both thorough and brutally honest in our Jura ENA 9 review, and as such, you may not be happy with the reservoir size of this unit. While 32 ounces is fine for casual coffee drinkers, if you’re a “power drinker” then you’re going to find yourself having to refill the water tank way too often for your liking. For at least half the coffee drinkers in the world, this isn’t going to be a huge deal. But if you drink a lot of coffee, this might be a deal breaker, all by itself. The concession here is understandable. After all, one of the easiest ways to reduce the overall size of the unit is to skimp on the size of the water tank. While that tradeoff will be appreciated by those with limited space, it’s going to be off-putting to other people. We’re power drinkers for the most part and regard this as a limitation, no matter how well-intentioned. One of the biggest conveniences of super-automatic machines is the fact that they’re “beans to brew” systems. You don’t need to invest in a separate grinder, which is fabulous both in terms of convenience and space saving. As great as that is, the One Touch slips a bit in this regard because the bean hopper is quite small, holding a mere 4.5 ounces of coffee beans, and there are only five grind settings. That’s enough for people new to the world of specialty coffee drinks, but at some point, you’re probably going to want more control. That’s when you know you’ve officially outgrown this machine and need to upgrade to something a bit more robust. Just as the relatively small water tank will be a turn off in the eyes of high volume coffee drinkers, the small bean hopper suffers from the same problem. And if you drink a ton of coffee every day, you’ll get annoyed at the fact that you constantly have to refill the machine. One final note here is that while most super-automatics recommend against using oily beans, the One Touch doesn’t seem to mind them, at least based on the evidence presented in customer reviews on this topic. Even so, medium roast is recommended for optimal results. This model features a bypass doser that allows you to use ground coffee rather than beans, if you prefer. The bypass doser will hold up to two scoops of ground coffee, allowing you to make a surprisingly strong drink using pre-ground if that’s your preference, or if that’s what you happen to have available. The One Touch utilizes a single boiler system, meaning that you can’t steam milk and brew coffee at the same time. If you want a specialty coffee drink that requires milk or foam, you’re going to have to wait a small amount of time as the boiler adjusts the temperature to accommodate you. Having said that, the unit comes to temperature very quickly, so in practice the additional wait time is minimal. This isn’t a deal breaker for most people, but it does slightly increase the time it takes to get your finished product, and as such, is worth nothing. The coffee spigot can be height-adjusted between 3” and 5” to accommodate a variety of cup sizes, and the output per shot ranges from 4 to 8 ounces, which is adequate for casual coffee drinkers. Then again, something that rabid coffee consumers may find limiting. The One Touch can make six different specialty coffee drinks at the touch of a button, while still giving you flexibility and control over the flavor of the finished product. When making any specialty drink, the most important factors are the grind settings (in general, the finer the grind, the stronger the drink), the number of beans per cup, and the amount of water per cup. By adjusting any of those factors, you can radically alter the flavor of your finished drink. Thus, the One Touch offers a fantastic blend of convenience and control. Sure, you can find other super-automatics that give you more control, but again, this one is particularly well-suited to someone who is relatively new to the world of specialty coffee drinks. For those users, it’s just about perfect. Here, we should say a few words about the differences between a “by-the-pot” drip coffee maker versus a super-automatic. The brewing method is very different, which leads to much stronger coffee drinks than a standard drip coffee maker can provide. Rather than using gravity to feed the coffee from reservoir to pot or cup, super-automatics use pressure, as measured in bars. One “bar” of pressure is equal to the atmospheric pressure at sea level. A good espresso requires at least 9 bars of pressure. The One Touch offers fifteen, which is enough to guarantee excellent results, every time you use it. Even better, the machine offers an “Aroma Boost” feature which will give you another boost of strength should you desire it. Unfortunately, the Jura Capresso ENA 9 does not have a cup warming tray. The decision to leave this feature off was almost certainly driven by the desire to create a super-automatic with an extremely small footprint. While this isn’t a critical failure, it does count slightly against the overall strength of the design because specialty coffee drinks aren’t typically served as hot as the coffee you get from a drip-fed coffee maker that brews by the pot. If you’re coming from that world, you may find the temperature of the coffee you get from the One Touch to be unsatisfactory. In many other (but not all) super-automatics, the warming tray is the answer to this problem. By preheating your coffee cup, you don’t run the risk of losing any drink temperature as you do when dispensing into a cool cup. Again, not a critical failing, but it’s something to keep in mind, and may take some getting used to. Pro Tip:To get around this limitation, if you own a “hot plate,” just set it up near your coffee station and warm your cup on it while you’re doing your prep. It’s not a perfect solution, but it gets the job done, and the cup won’t be on the hot spot long enough to be concerning. Most super-automatics have a milk container you can attach to the machine. When you want foam, it will draw milk from this container into the boiler, heat it, and then output it to your cup. That’s not how the One Touch works. While you can buy a milk canister separately, you can insert the siphon hose into any container. This is what draws the milk into the boiler, where it is heated before dispensing. In our view, the siphon hose is a relatively poor substitute for a dedicated container attached to the machine. Not only does it remind you that you’re not using a high-end machine, but it gives the One Touch the appearance of a science project. Most people are either okay with this or get used to it rather quickly, but we find it somewhat irksome. Not enough that it would make us not recommend the device, but we readily admit that it’s not our favorite feature implementation. ​How Easy Is It to Use? The One Touch is incredibly easy to use. The controls are simple and well positioned on the top of the machine, and there’s only a single knob that requires your attention, along with a small array of push-buttons. While it would be overselling it to say that there’s no learning curve at all, it’s completely fair to say that the learning curve is very slight, and you’ll be able to enjoy your first cup of coffee within minutes after setting the machine up. Having said that, there are enough options available to allow you a fair amount of control over the flavor of your final output. So, you’ll probably spend a period of days tweaking settings and experimenting to get the machine’s settings optimized to your particular preferences. ​How Easy Is It to Clean? Sometimes, small units suffer from the problem that the components are difficult to detach for cleaning. That’s not the case here. You won’t have any trouble disassembling the unit for cleaning, and you should do so on a regular basis to keep the unit operating at or near peak performance. Note: ​This unit comes with a built-in water filter that your water passes through before entering the boiler, making descaling something you don’t have to do very often at all. We’re on the fence about this feature. On the one hand, that’s undeniably convenient, but on the other, it’s just one more accessory you have to periodically purchase. Your mileage will vary here. Some users will appreciate the inclusion, while others will be annoyed with it, and simply use distilled water to accomplish the same goal. One thing we have to draw particular attention to is the fact that the One Touch comes with a two-year warranty. Most other super-automatics on the market have a one year warranty, so this is significant, and is, in large part, due to its quality Swiss manufacture. Is This the Same as the Jura ENA 9 Micro? No, they are, in fact, two different machines, although they are very closely related, feature-wise. The Micro should be considered essentially as a model upgrade of the One Touch. 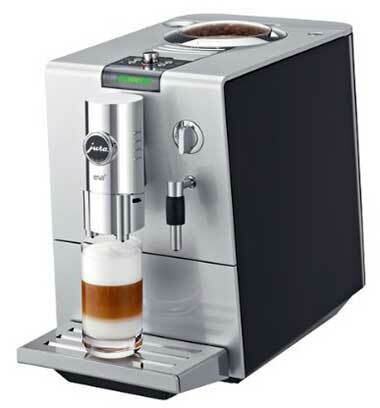 You can find the Jura ENA 9 Micro here and its user manual here. A few modest design changes, the most notable of which was the relocation of the unit’s hot water spout. In the Micro, it’s built into the coffee spigot arm, while in the One Touch, it is a separate spigot entirely. Also, the One Touch features a control knob to adjust settings, while the Micro uses a flat rotary dial. ​The size of the used grounds bin has been reduced slightly in the Micro. ​The Micro is slightly shorter than the One Touch, so if you’re cramped and have limited counter clearance, then this could be the deciding factor on which you prefer. 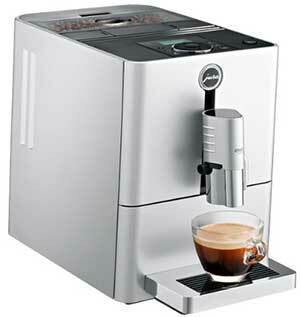 ​The Jura Micro ENA 9 reduces the number of coffee strengths to two, from the three offered by the One Touch. 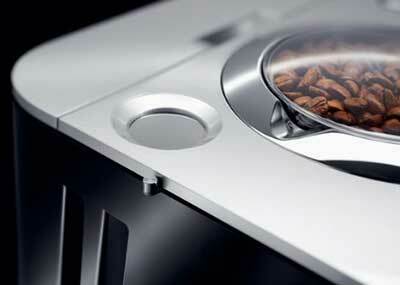 ​The Micro reduces the maximum number of scoops of coffee the bypass doser will hold from two to just one. Based on this information, you might be wondering who would want the Micro over the One Touch, and why it’s considered an upgrade. The obvious answer is that people with very limited counter space will naturally gravitate to this model, but the other thing to note is the difference in price. The Micro is a couple of hundred bucks cheaper, and you’re not really giving up anything regarding functionality. If you’re a cost-conscious shopper, the Micro is a great fit! In our view, these machines are close enough in terms of functionality that they both get the same rating. 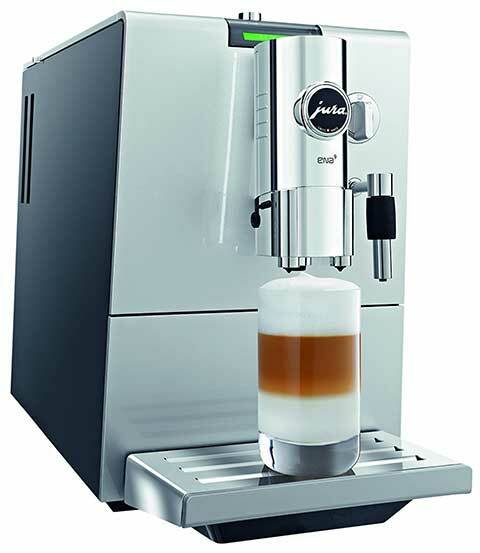 There’s undeniably a lot to like about the Jura ENA 9 One Touch Coffee Machine. It’s small, it’s incredibly easy to use, and it produces a consistently good cup of coffee. ​It has a relatively small water reservoir. That’s not an issue if you’re a casual coffee drinker, but if you want coffee throughout the day, you’re going to find it inconvenient that you have to keep refilling the water supply. The bean hopper that feeds the grinder suffers from the same limitations as the tank. It’s tiny. The grinder itself only has five settings. That’s sufficient for casual users, but if you’re looking for more fine-grained control, then this too, will leave you wanting. None of this is to say it’s a bad machine. It’s not, but it does have a few limitations. 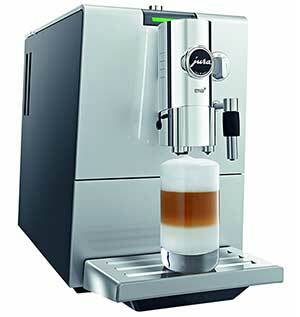 The Jura ENA 9 One Touch Espresso Machine is a good super-automatic. For the right user (i.e. 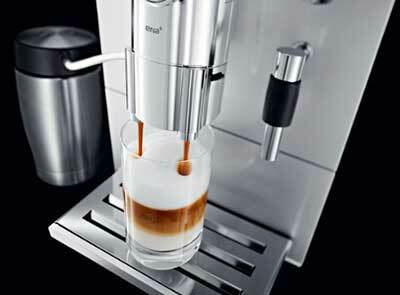 – a casual coffee drinker), it could easily be considered to be a great machine. It’s also ideal for single people or couples, provided that neither of them drink a lot of coffee. If you’re a power coffee drinker, however, this one will leave you wanting. Its small size was achieved primarily by sacrificing in two key areas: the size of the water reservoir, and the size of the bean hopper. People who drink a ton of coffee throughout the day will be disappointed by both of these and will find the unit to be lacking. ​Jura ENA 9 One Touch User Manual. ​What Is It About Coffee? Harvard Health. ​The Case For Drinking Coffee Is Stronger Than Ever, Time.